We Are Robots, a new London-based event exploring the future and innovation of music, opened its doors yesterday (2 November) featuring a number of discussions, technology workshops, sound installations and live performances. As part of the industry conference sessions, Point Blank Music School’s Carly Hordern hosted a panel titled Future of Women in the Music Industry. 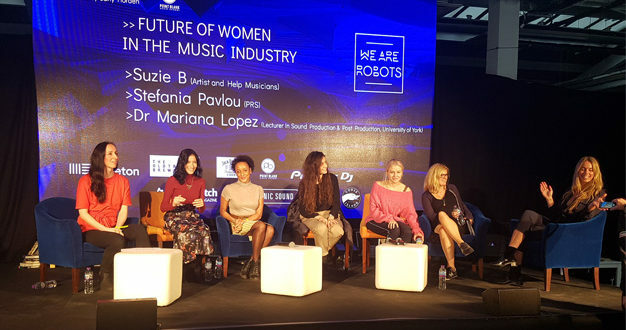 Comprised of female producers, engineers, artists and more, the panelists discussed the extent of the gender imbalance and the lack of women represented in senior roles in the music and pro audio industries. 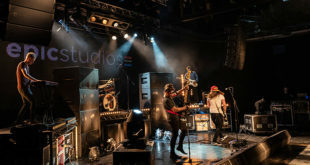 During the discussion, it was revealed that the UK music diversity task force’s survey of people who work in the music industry – published in January this year – found that at entry level women slightly outnumber men, but this then shifts at a managerial level, with a significant drop in the amount of women represented in senior roles down to 16%. Music producer Marta Salogni said that while she has seen more female mixers and producers coming into their own in the last seven years, there is still a lot of work to do, and highlighted the importance of women having role models in the industry. Mariana Lopez, lecturer in sound design and acoustics at the University of York and vice-chair of the AES UK section, spoke about the significance of the United Nations HeForShe campaign as the first step in challenging gender equality. Lopez also spoke to AMI for a recent report on Red Bull Studio’s female-only #NormalNotNovelty workshops. It’s all about spreading awareness and educating from the top down, so that women are given these opportunities. When asked about the need for female-focused initiatives, Pavlou said that there is certainly a place for them, and assured that there is a growing amount of support available for women. “Events like this are important; It’s creating a platform for these conversations to take place and creating spaces to allow women to work together and really address the imbalance,” she concluded. We Are Robots runs from 2-5 November at the Old Truman Brewery on Brick Lane, East London.